A tea cozy is a tea pot cover that is traditionally made of high quality cloth or wool. Tea cozies insulate tea pots and keep tea warm. Tea cozies have a unique history that began in 1867 when afternoon tea became a custom in Britain. Although tea was introduced in Britain in the 1660s, the need for tea cozies did not arise until much later. The Duchess of Bedford established afternoon tea as a time for aristocrats to network and keep up with the latest news. People spoke so much during afternoon tea that they needed a way to keep the tea warm and that is how the tea cozy was born. Tea cozies kept the aristocrats from having to shorten their afternoon tea sessions due to chilled tea. In Britain, the popularity of tea cozies peaked during the Victorian era in the late 1880s. Around the same time, women who hosted tea parties in North America began using tea cozies. Newspapers of the era often featured instructions on how to make tea cozies. Lace, cloth, knitted, or crocheted, there are several varieties of tea cozies available. Tea cozies often come in sets and can be coordinated with table cloths, oven mittens, aprons, and other kitchen accessories. For tea lovers who enjoy knitting or crocheting, there are several unique patterns available for creating tea cozies. Most tea cozies in Britain were hand-knitted and resembled small knitted hats with bobbles. Cloth tea cozies usually come with padding that can be removed and washed separately. Sometimes there are also hidden pockets inside of tea cozies for dried flowers and herbs that give off a pleasant fragrance. Cloth tea cozies are the most convenient because they can be washed easily and can also be embroidered for added flair. Some styles leave the spout and lid area open so the cozy does not have to be removed when pouring tea. Tea cozies should be large enough to cover the tea pot completely and have a ring on top so they can be lifted with ease. Generally, a tea cozy can keep tea hot and fresh-tasting for up to three hours. For anyone who’d like to talk longer over tea without having to re-heat it several times, tea cozies offer the ultimate solution. Tea cozies are an inexpensive, decorative, and ecological way to enjoy hot, fresh tea and uninterrupted conversation at tea time. 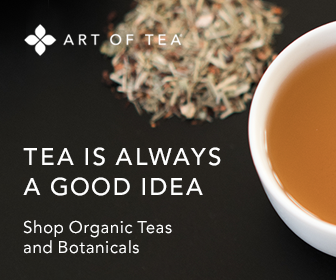 They also make a wonderful gift for a tea lover.